Hollywood reacts to Brett Kavanaugh's U.S. Supreme Court confirmationEllen DeGeneres, James Woods and Time's Up are among those in Hollywood reacting to the U.S. Supreme Court confirmation of Brett Kavanaugh. Ellen DeGeneres, Jim Carrey and Time's Up are among those reacting to the U.S. Supreme Court confirmation of Brett Kavanaugh on Saturday. Time's Up, a movement to help victims of workplace sexual harassment created by women in Hollywood after allegations of misconduct against Harvey Weinstein and others, also posted a statement on Twitter following the decision. "This chapter in our history book will not be the story of men who believed men, that's old news," the official Time's Up account posted in a series of tweets. "It will be the story of an avalanche of women who spoke truths and seized our power." Talk-show host Ellen DeGeneres, who rarely gets political on social media, addressed a message to Christine Blasey Ford. Ford testified last week before the Senate Judiciary Committee that she had been sexually assaulted by Kavanaugh when they were teenagers. 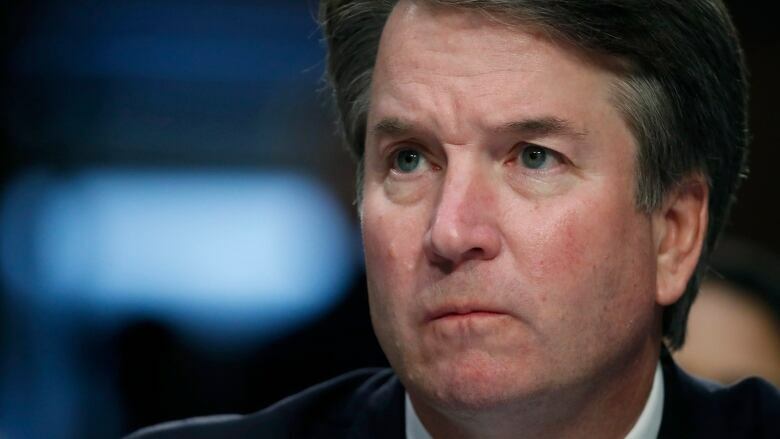 Kavanaugh denied any wrongdoing. "You started a movement and we'll see it through," DeG eneres posted on Twitter Saturday. "If they won't listen to our voices, then they'll listen to our vote." Canadian-born actor Jim Carrey referred to Ford's testimony as "Real American heroism." The 50-48 senate vote marked the end of a bitter, high-profile battle between Democrats and Republicans. White House Down actor James Woods, a Republican known for sharing his right-wing views and staunch support of Donald Trump online, returned to Twitter after being locked out of his account by the social media company for refusing to delete a tweet it had flagged. After expressing support for Kavanaugh, he posted: "Now what Republicans must do is support those still marginalized by a history of oppression and neglect." 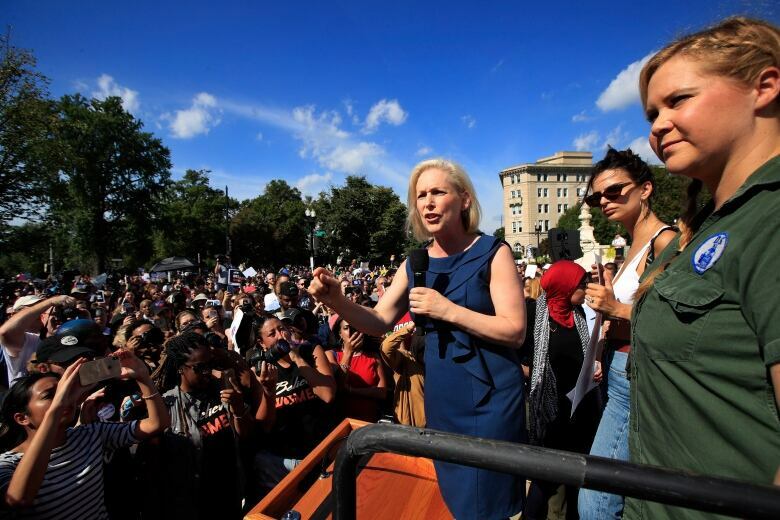 Debate over the nomination triggered a protest Thursday in Washington, D.C. at the U.S. Senate building. Come dian Amy Schumer and model-actress Emily Ratajkowski were among those who participated.